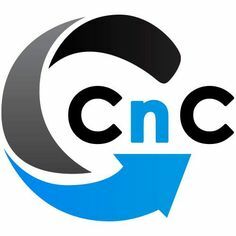 Here at CNCMachinistTraining.com, we want to educate you on everything CNC manufacturing related, and that’s why I’m taking the time to explain what a 3D printer is, and why they are making people thousands of dollars while doing it right in their home. First of all, what exactly is a 3D printer, and what does it do? Another name for these printers is a rapid-prototype machine, because it can make you a one-off part without having to ‘cut’ or machine any materials. That’s right, it actually ‘prints’ out a a real part that you can hold and use, as opposed to my typical 2D printer that prints out flat pieces of paper… Want to make action figures, model cars, tools, or a special replacement part that you can’t buy in any stores?! These machines really are amazing, and everyone that finds out about them are in awe of what they can do. Depending on how sophisticated the printer is, you can take and scan a P-51 Mustang scale model airplane, transfer it to the computer program, pick your colors, and then click print. It will come out just like your existing plane, with moving parts and all! If you’ve ever seen those older movies where they punch in their request onto a microwave-like machine, and out comes their order in seconds, a 3D printer is very similar, albeit the cycle time is a little longer.